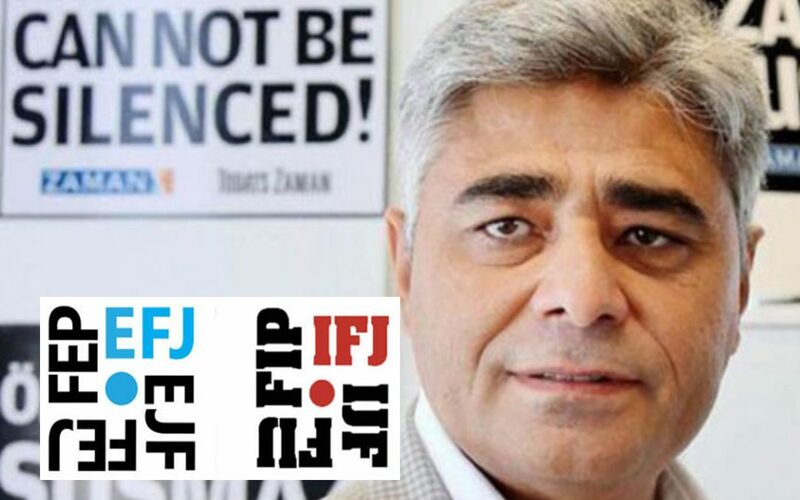 The European and International Federations of Journalists (EFJ-IFJ) has called on Turkish authorities to provide urgent medical care to Turkish journalist Tuncer Çetinkaya, who has been in pre-trial detention in Turkey for 11 months. “Tuncer Çetinkaya, a journalist and former regional representative of Zaman newspaper in Antalya, has been detained for 11 months in Turkey and is now held in Antalya prison. He urgently needs medical care,” a statement released by the IFJ- EFJ said on Friday. According to his relatives who contacted the IFJ-EFJ, Çetinkaya is seriously ill and suffers from autosomal dominant polycystic kidney disease (ADPKD), which requires regular and specific treatment. His daughter reported that during his first three months in jail, Çetinkaya was not allowed access to his medicine or see to a doctor. His health has steadily worsened and he has already lost 54 percent of his kidney function. He has also lost a lot of weight, his daughter reported. Çetinkaya’s lawyer has continued to write petitions to all relevant medical bodies about the rapid deterioration of his client’s health, asking for a committee of doctors to examine him and state that his situation was not fit for prison conditions. To date he has received no response. Çetinkaya has been able to see a doctor only once since January 2017. Çetinkaya is among the dozens of journalists who were jailed in the aftermath of a failed coup attempt on July 15, 2016 as part of the government’s post-coup crackdown against critics. He was former local news representative in Antalya for the Zaman daily, which was closed down by the government after the July 15 coup attempt.